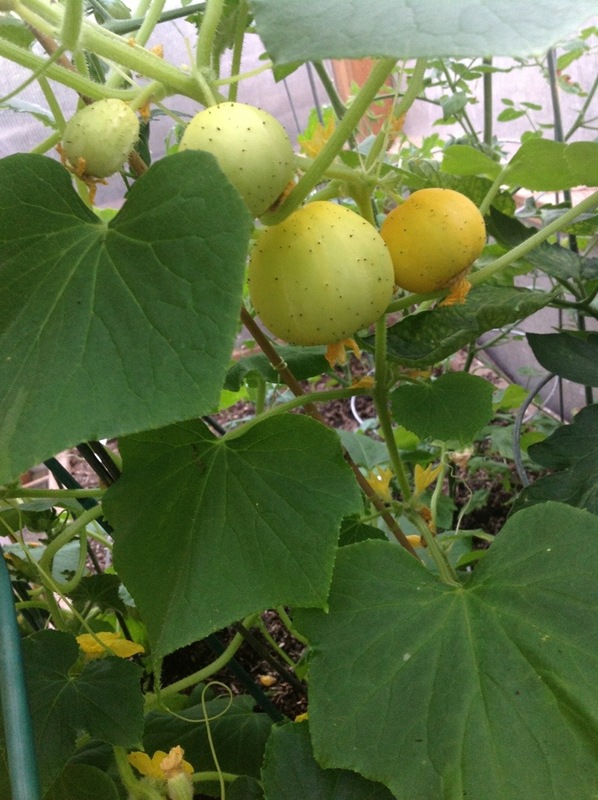 Last season I tried to grow lemon cucumbers outdoors in a raised bed. I got one tiny cuke. 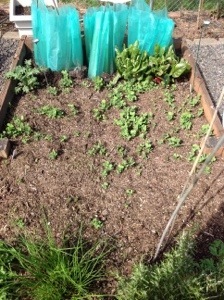 So this year I got a package of seeds and grew my own starts and planted them inside the greenhouse in a raised bed. As you can see, the added heat from the greenhouse was successful. I have been leaving the door to the GH open all the time since May to help vent the heat! It does still get warm inside, kind of like a giant cloche would in the garden. I love it when these things work. My next success is from Moskovich tomato, purchased from the Central Valley Garden Club plant sale and started outside in Walls-o- Water. Mary Ann, you were right! Thank you. These large babies do grow well here! This is just another example of “get local gardening advice” rather than advice from a book written for a climate different than yours. 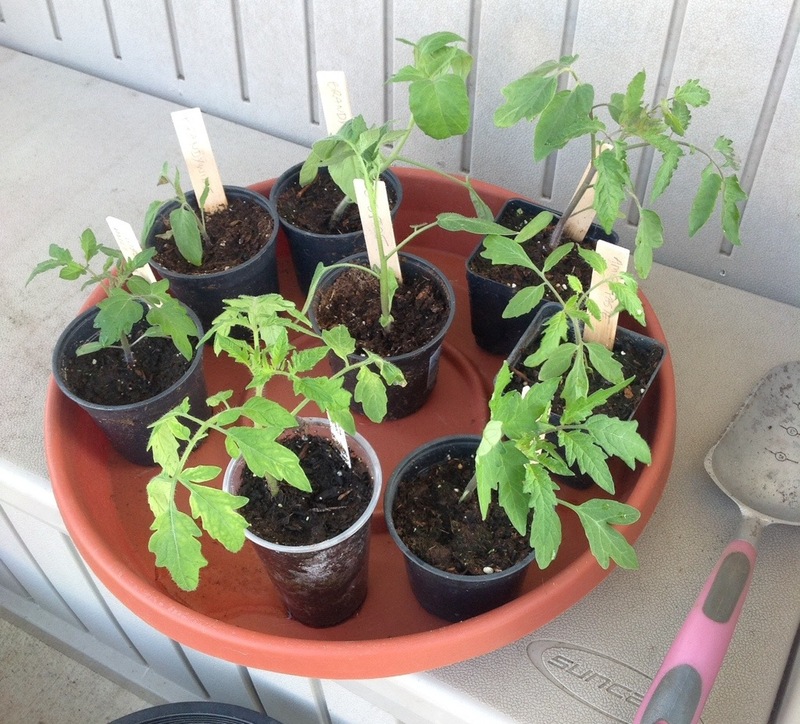 Last year I used my walls of water to get a head start on the warm season tomato plants. 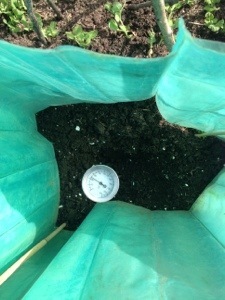 This season I am starting several weeks earlier than last year, but I have put up the walls of water first to warm the soil above the current 49* F, then I will plant in a few days. 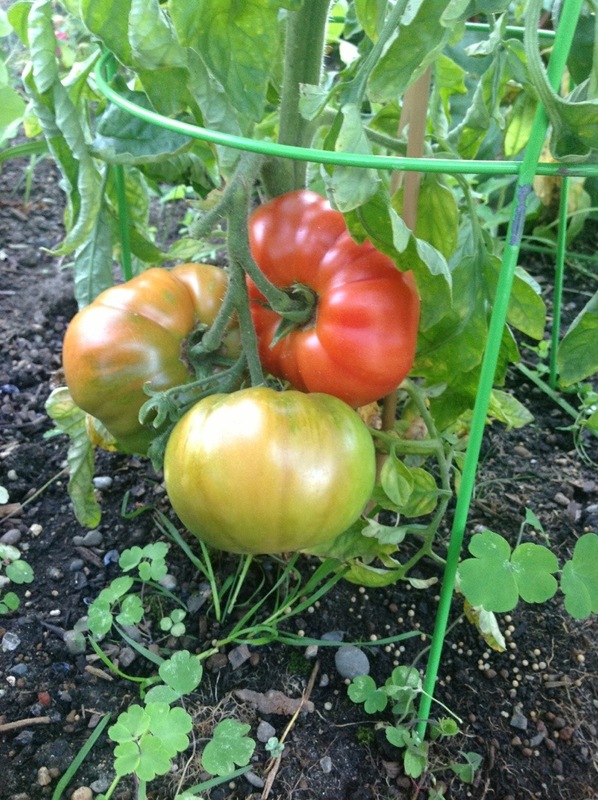 I also read that tomato plants appreciate egg shells for their calcium to prevent blossom end rot. I did not have a problem with blossom end rot, but decided to save and freeze egg shells for three months then put them in the soil before planting tomatoes this season. 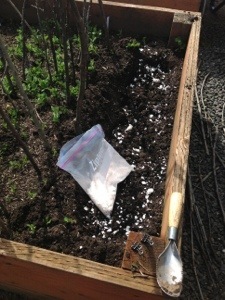 I sprinkled crushed shells in a trench before I set up the walls of water.